Your Internal Connecting Flight In Turkey Is On Us! We’re offering your internal connecting flight in Turkey free of charge so you can thoroughly enjoy the perks of flying to Turkey with our fares from €49.99. Make your travel plans now and don’t miss this amazing offer for flights between 20 September 2016 and 25 March 2017. Remember: 20 September is the final day for booking! 1. The ticket fare will be the price of the first leg of the international route to Turkey for flights that include an internal connecting flight in Turkey between the dates specified of the campaign (Internal flights in Turkey do not include flights to North Cyprus, which is classed as an international route). 6. To redeem the campaign offer, the end destination must be selected from the beginning on the main booking page. The offer cannot be claimed at a later stage by using the ‘Add Flight’ feature or on flights booked separately. 7. Ticket cancellations and returns are subject to the terms and conditions of the applicable fare class. 8. Check-in fees are included in the campaign prices. 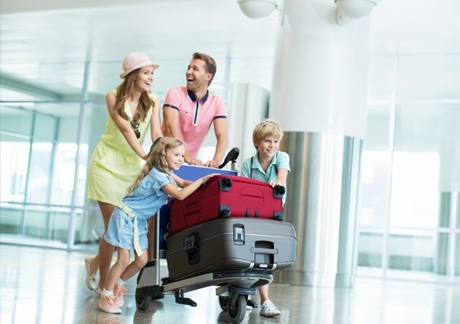 For each guest and each flight segment, the check-in fee starts from $8 on international routes. The fee can vary depending on the country and flight route. 9. Pegasus reserves the right to change the details of this promotion.